The Draper 15x20' Skirt for the Cinefold Truss Projection Screen Skirt for the screen is part of the entire Dress Kit system. Skirts run along the lower edge of the screen and hide many of the cables associated with the projection system. 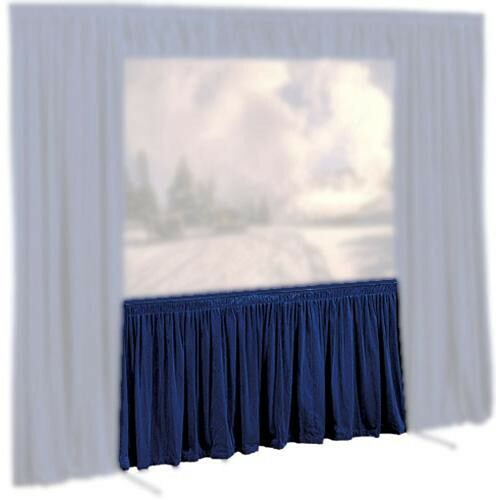 They also help prevent unwanted light from spilling out into the eyes of your audience. This is especially valuable during a rear screen presentation where the projection equipment is behind the screen. In addition, as part of the Dress Kit system, the Skirt helps focus your audience's eyes on the screen. Box Dimensions (LxWxH) 53.0 x 14.0 x 12.0"